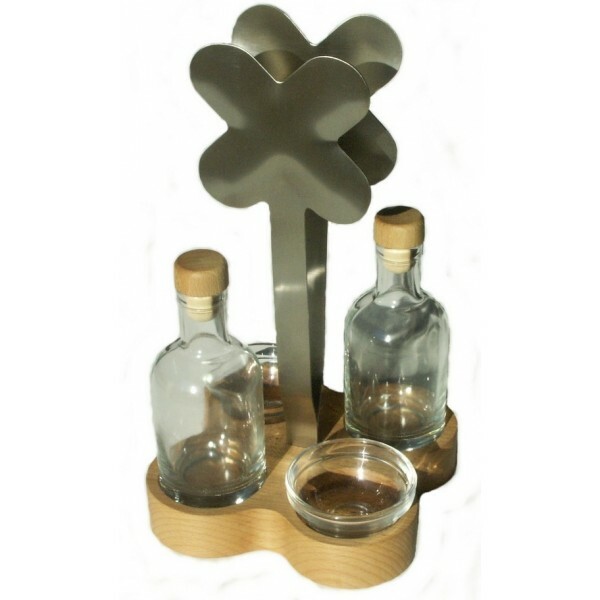 Our Clover set is made from glass, Beech and Stainless Steel. We fell in love with this beautiful, yet practical item. 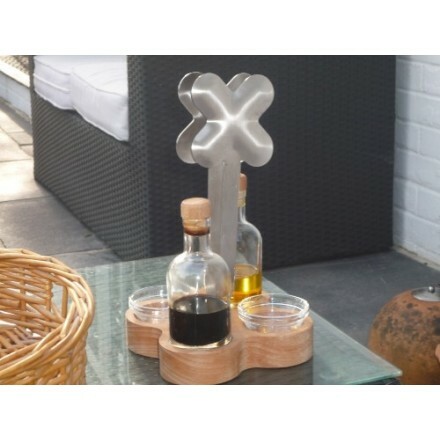 The metal tongs are stored easily in the base along with oil and vinegar bottles and two mixing dishes. Handmade and designed in Suffolk. Ideal wedding or housewarming present. The oil and vinegar bottles are the ideal size. Small glass mixing bowls add to it's charm - can mix oils and vinegars together or use for other dips, parmesan or croutons as required. 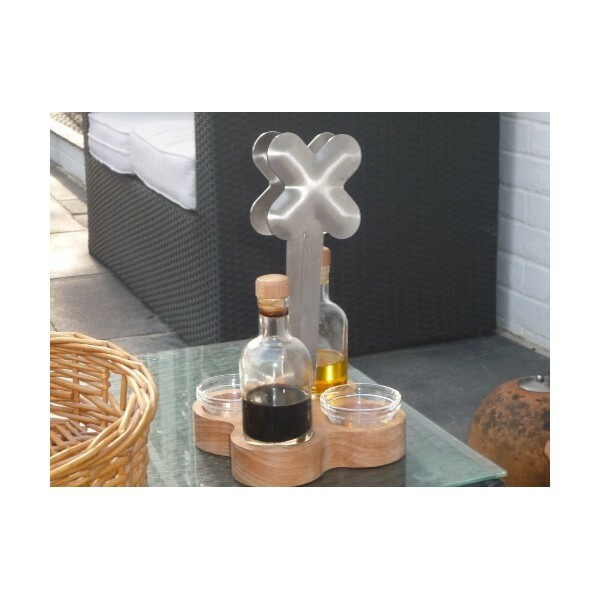 Use it outside for BBQ salad dressing or leave on the kitchen working surface, a great conversation piece and a fantastic gift! We have kept one for us - all in the spirit of product testing you undertand!